Lindbergh Elementary preschool student Aria Martinez asks her mother to read her two to three books each night before she goes to bed. This winter break, she’ll have another option for her reading list after receiving a Whisker Haven tale on Dec. 14 when the District gifted more than 700 preschool students with a new book for winter break. Each school provided the book during Winter Family Engagement Day, which invited families to join students for celebratory activities. All girls received a Whisker Haven box set that included the book, a toy and puzzle. Boys received a Marvel box set with the same contents. 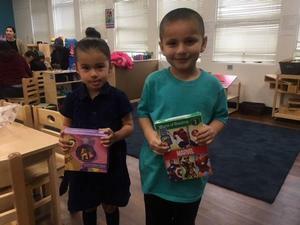 This is the third year the District has held the giveaway, which has provided books to nearly 2,000 children. Books are collected at fairs throughout the year. 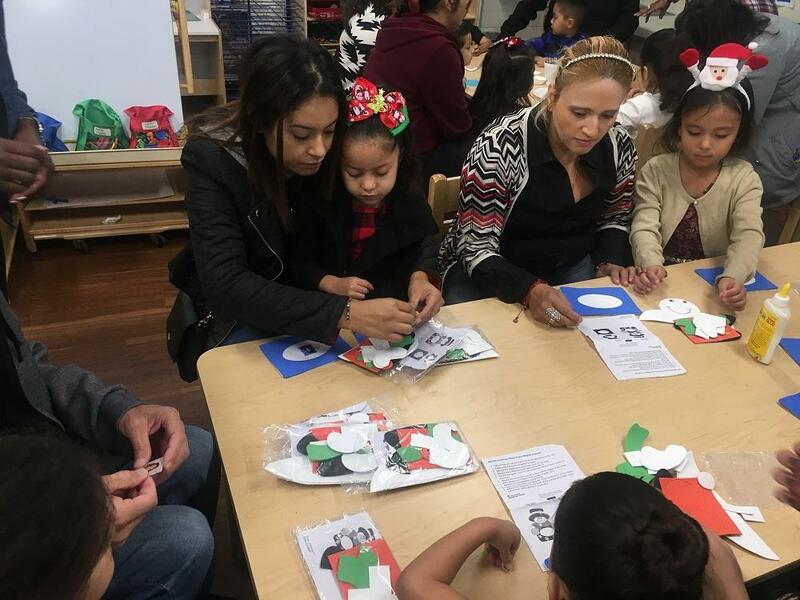 The giveaway coincided with the annual Winter Family Engagement Day, also observed at all schools, which featured winter assemblies and interactive projects, such as creating family picture frames, building reindeer with graham crackers and making snow in the science room. Lynwood Unified’s Early Childhood Education Department has made literacy a focus this year. ECE unveiled a lending library in every classroom beginning this school year and makes Bookflix, a digital literacy resource, available to all families. The District also provides a summer literacy bag. LUSD’s ECE program was recognized in 2017 by the Quality Start Los Angeles Quality Rating and Improvement System (QRIS) for providing quality educational environments at its 12 elementary sites.